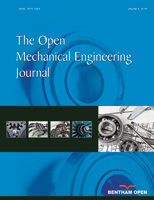 In this paper, the CNC machine spindle after remanufacturing is researched as an object on uncertain constraints. At first, the equations of the machine spindle motion based on beam theory are established. This article uses Finite Element Analysis (FEA) function to analyze the remanufacturing of machine spindle system in the free mode and while static and the actual working conditions of multi-modal analysis of the spindle’s constraints state. By analysis it is known that the spindle vibrates and deforms at high speeds, and some assumptions are used to improve the unreasonable parameters, so that the spindle’s dynamic performance is more stable and reliable in the conditions of the high speed and heavy load operation. In addition, simplifying the cost and shortening the design cycle are the part of the analysis. The results provides an optimized design and a basis for precision control for the heavy-duty mechanical spindle system or machine spindle system.